Looks like these here miners mean business. 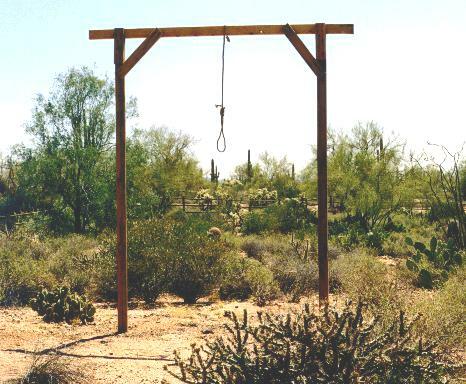 Don't know which ways better... falling in a cactus patch, er' swingin on the end of a rope. Let's skeedaddle!